To help your kids understand the three R's "reduce, reuse, recycle, there are some great videos on youtube. I love this one below! It is set to Jack Johnson's "Reduce, Reuse, Recycle" song and shows great images that will keep students' attention. 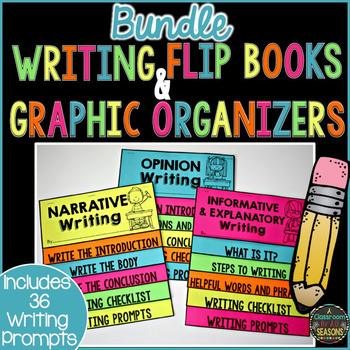 There are so many easy activities you could do with this. Have the students jot down ways they see people REDUCE, REUSE or RECYLE. Also ask them to spot images that show what happens when people don't put trash in its proper place. (There is an image of an oil spill and also an animal with trash wrapped around his neck.) Or just have them share some observations they made during the video. 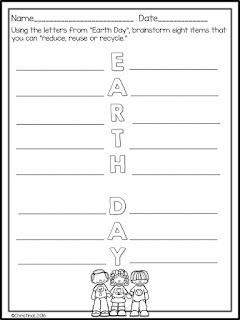 After viewing the video or even if you have just discussed "the three R's", students can complete my this free Earth Day activity. 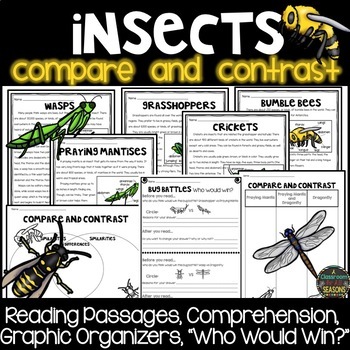 Depending on students' level, they can complete this individually or in pairs. Another quick activity is to make an Earth Day t-shirt! 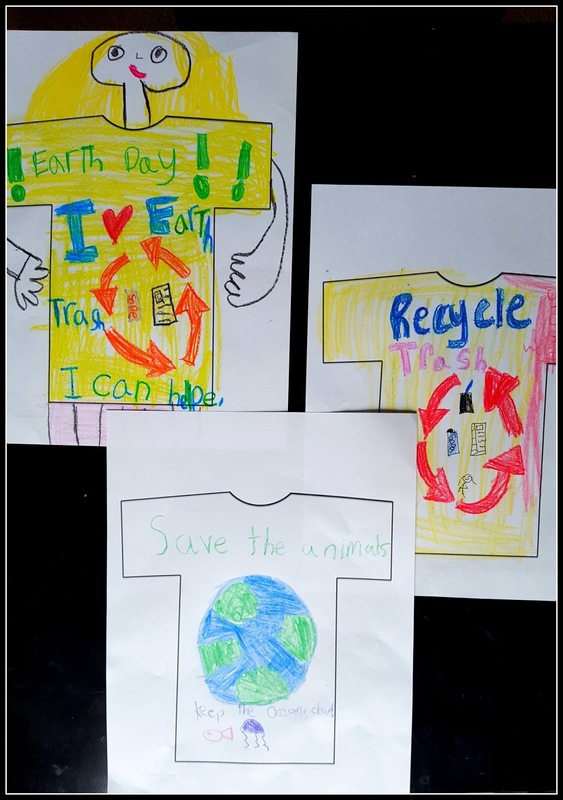 Kids can create their own unique logo for Earth Day. 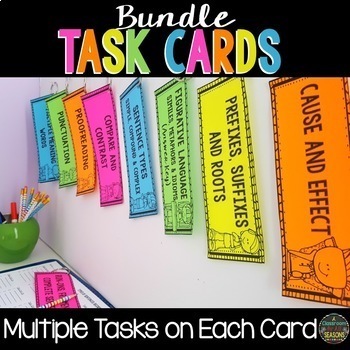 Then display them in the classroom for all to see. For a great (FREE!) t-shirt template, visit the History Gal's store at TeacherspayTeachers. The last idea is to have students create a toy from trash! They could draw their idea or have them actually create the toy at home using only recyclable materials. Some simple ideas include a rattle using a plastic water bottle and dry rice, a musical instrument using a coffee canister and a chopstick, or bowling pins with plastic bottles. 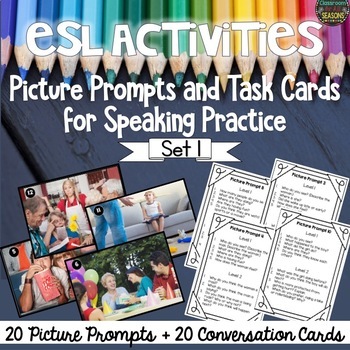 There are many great images and ideas on Pinterest. Just search "Trash to Treasure for Kids." Thank you and hope you enjoy these ideas! 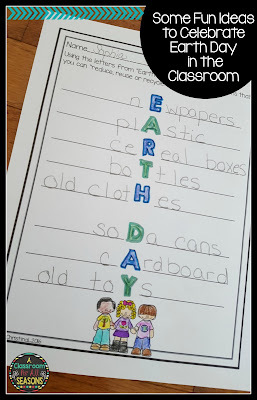 If you have another simple Earth Day idea, please share it below!